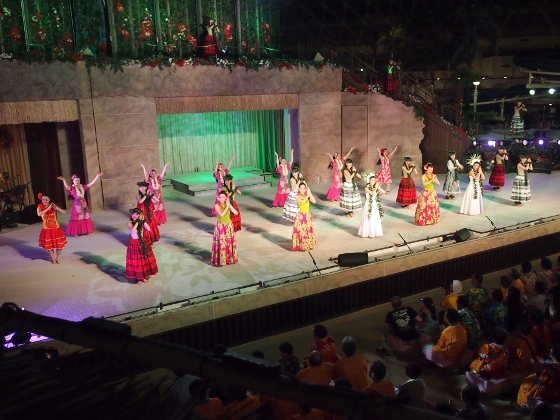 At last, as of Iwaki series, hula dancing girls are shown below. 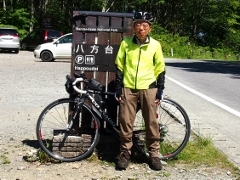 They work for Spa Resort Hawaiians which is the largest hot spring recreation center in Fukushima. 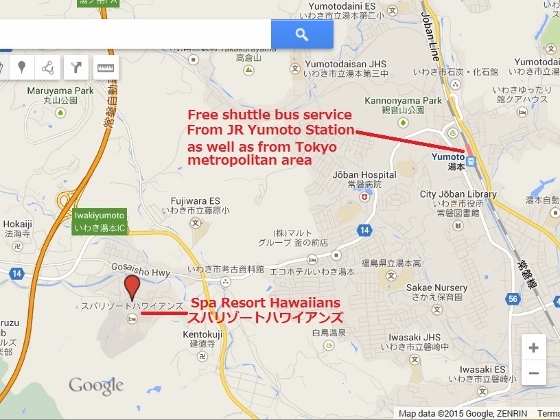 Spa Resort Hawaiians is located in Iwakiyumoto Hot Spring as shown in the map below. There are free shuttle bus services between the nearest JR Yumoto Station as well as between several places in Tokyo metropolitan area. You can scale up and down the map by clicking it. 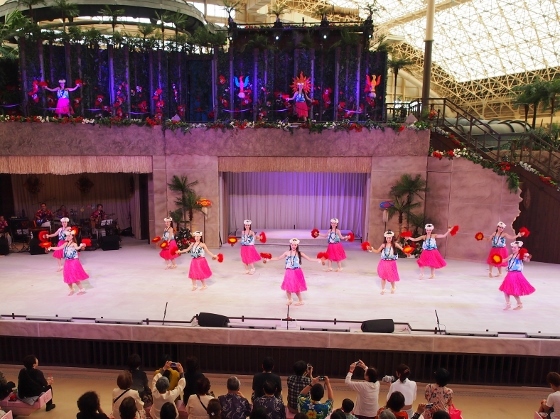 There are two stages of hula dancing girls every day, daytime (45 min. from 13:30) and night time (60 min. from 20:30). Above photo shows one of the scenes from daytime stage. 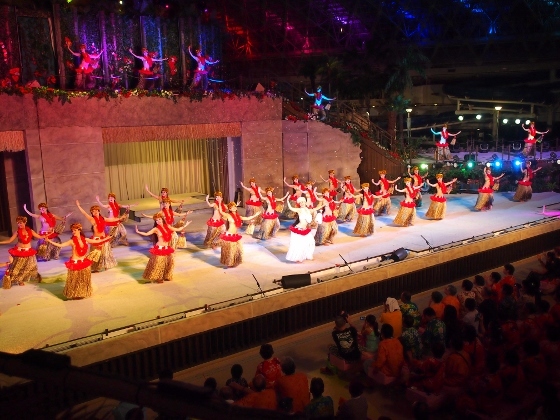 The show is called Polynesian Revue. You can have a sense of music from here. Above photo shows the stage with audience. 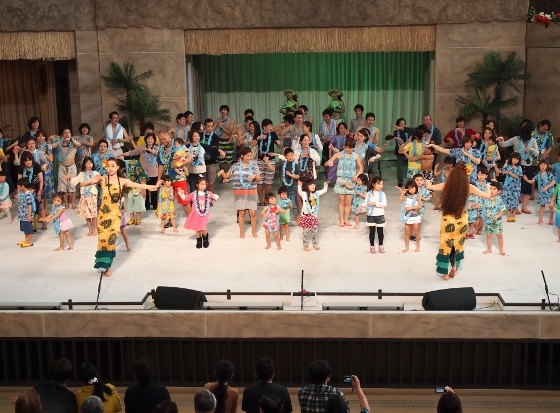 Many people including young, old, men, and women enjoy dancing with the hula girls. Above photo shows the stage at night time. 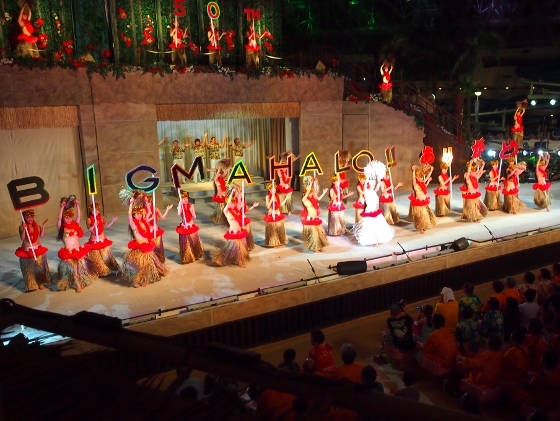 It is called Polynesian Grand Stage. 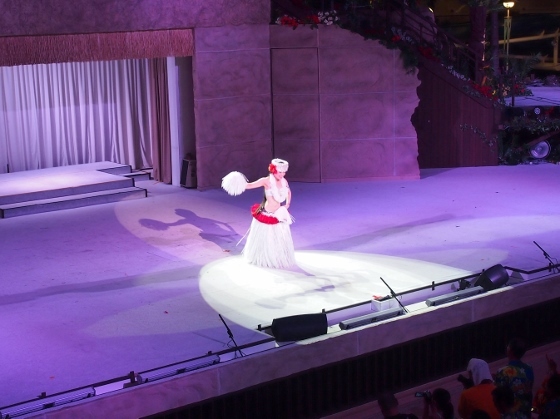 The white solo dancer in the above pictures is Nashie Moana who is the current leader of the Hawaiian Dancing team. The last scene shows appreciation to audience for its 50th anniversary. BIG MAHALO means great thanks in Hawaiian word. The hula dancing girls traveled all around Japan since after the big East Japan Earthquake and showed the resilience of Fukushima to all the people they met.